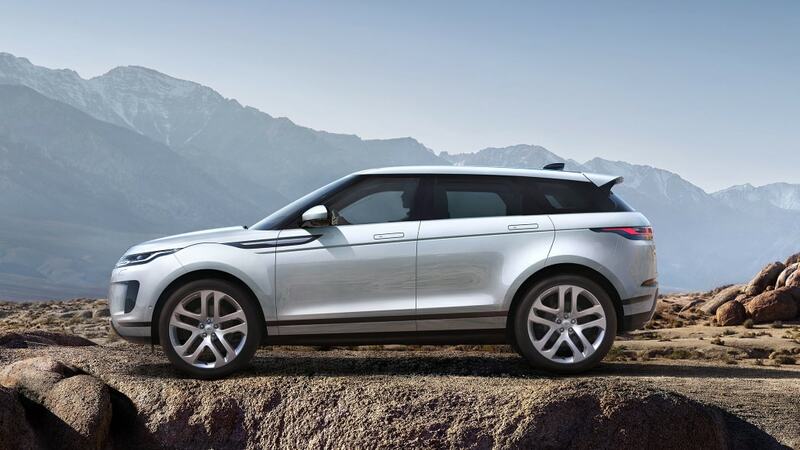 The Evoque enters its second generation with a full redesign. 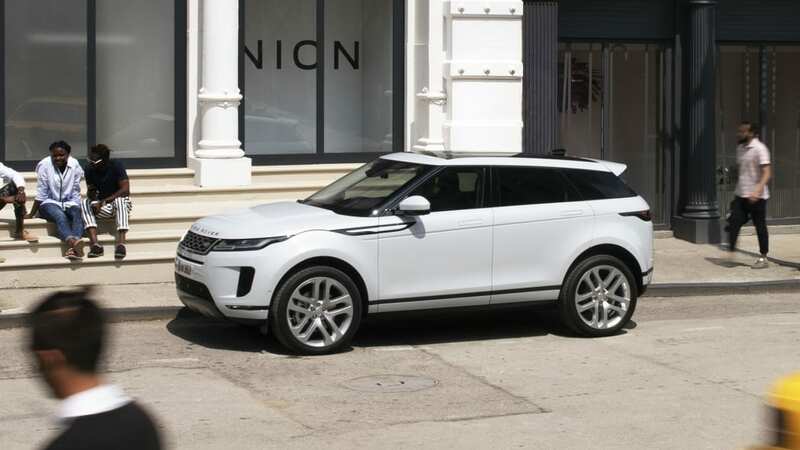 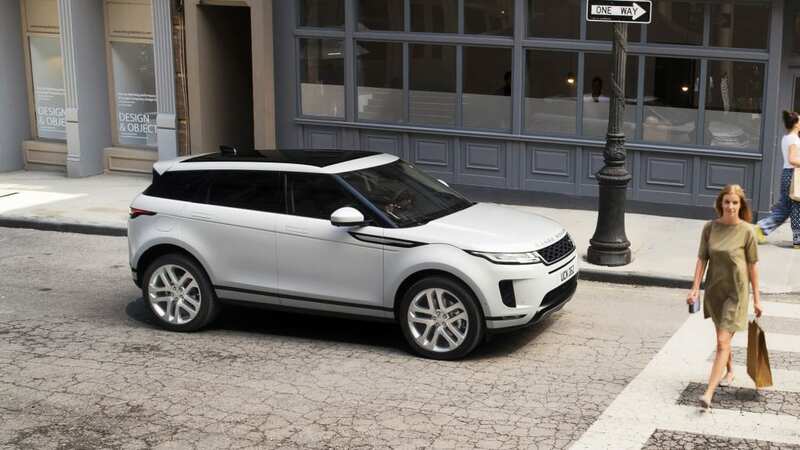 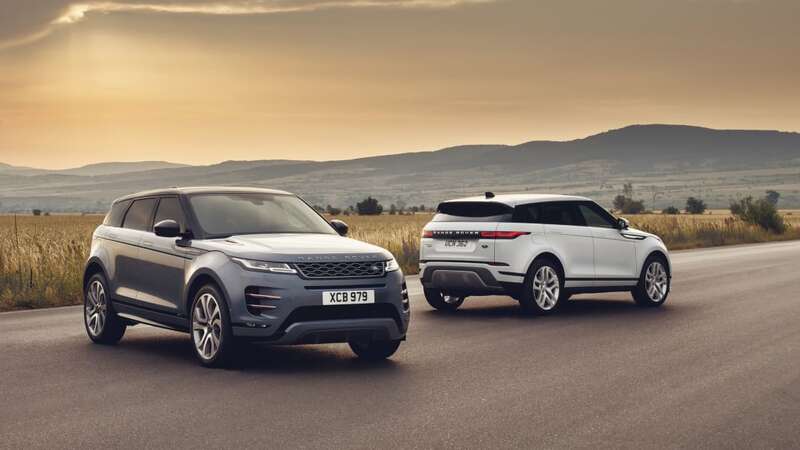 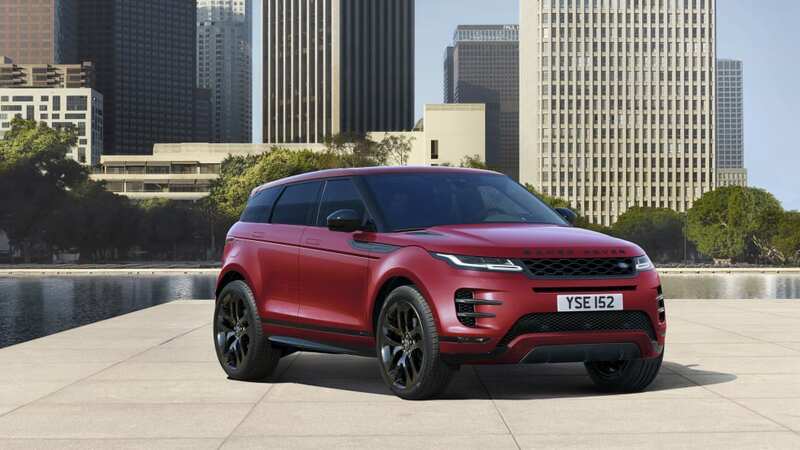 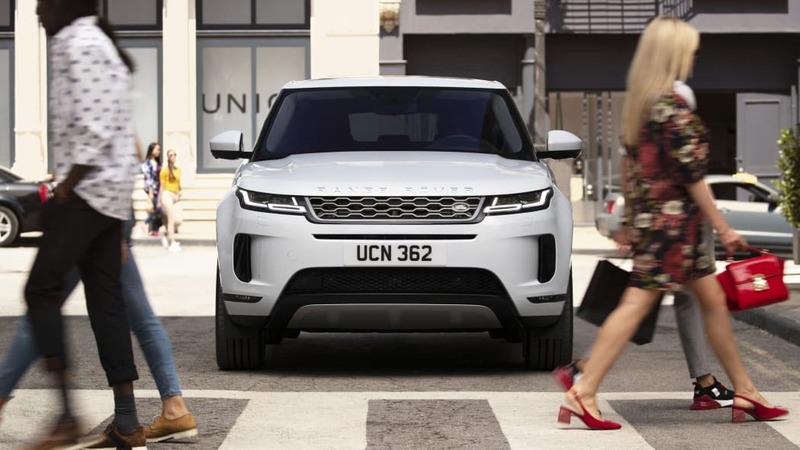 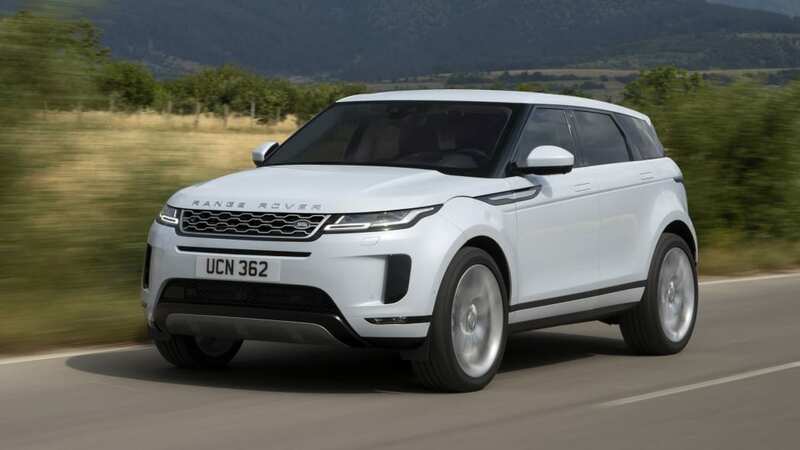 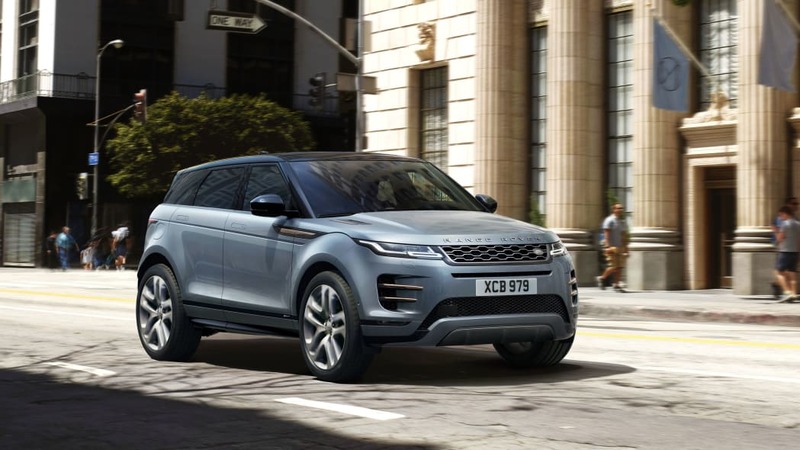 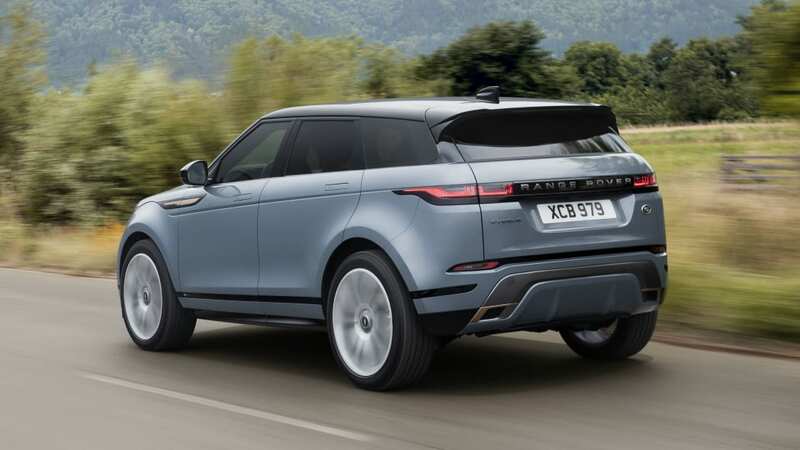 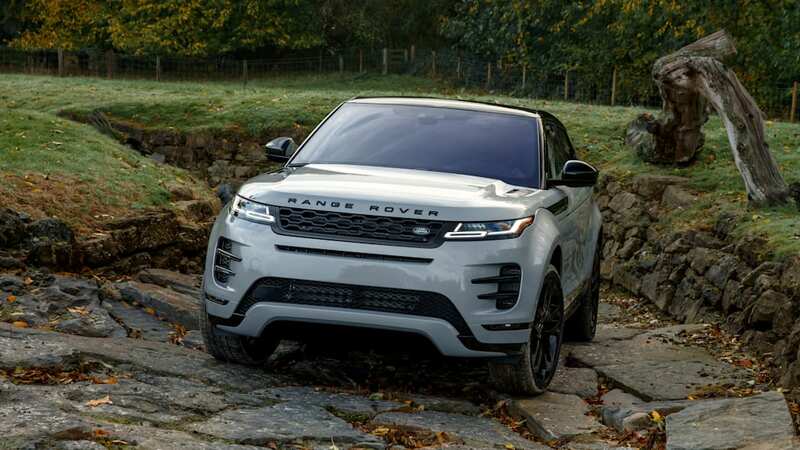 The Range Rover Evoque is coming back for round two in the 2020 model year as a completely redesigned vehicle. 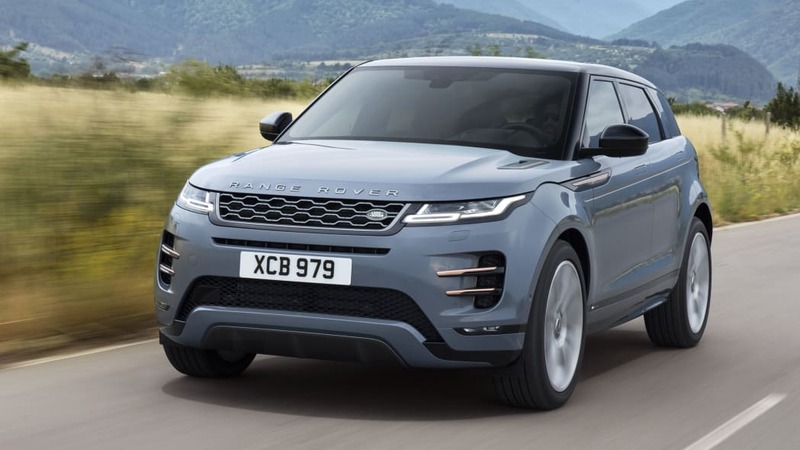 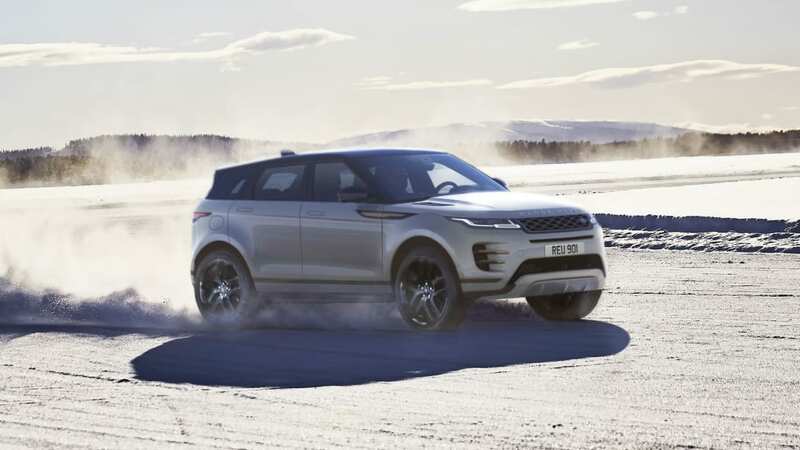 It came to the market as a squished, squat and budget Range Rover about six years ago, and Land Rover's philosophy for what the luxury compact crossover should be isn't changing for 2020. 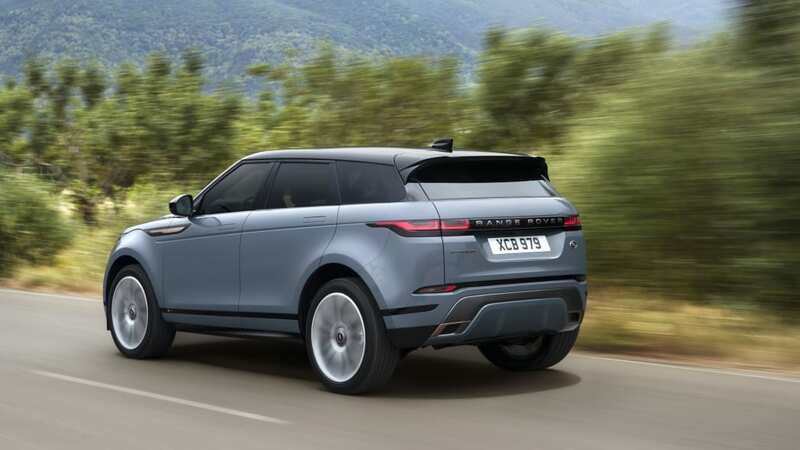 Rather, it's more of an evolutionary redesign with a whole lot of Range Rover Velar in there. 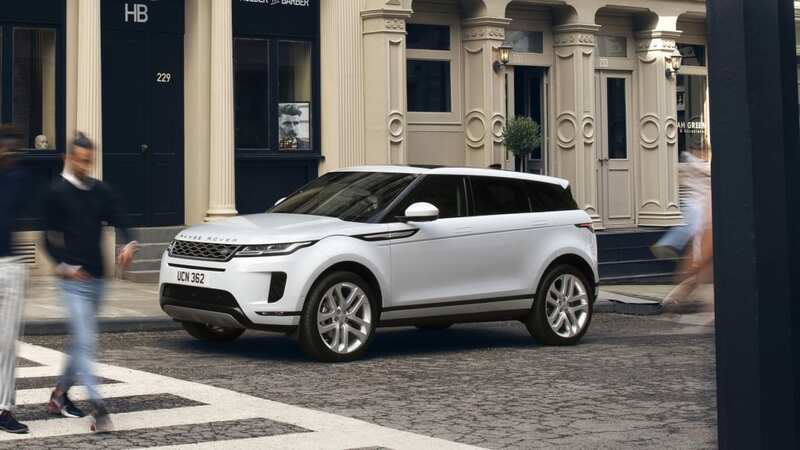 You'll instantly recognize the new Evoque as an Evoque when you see it. 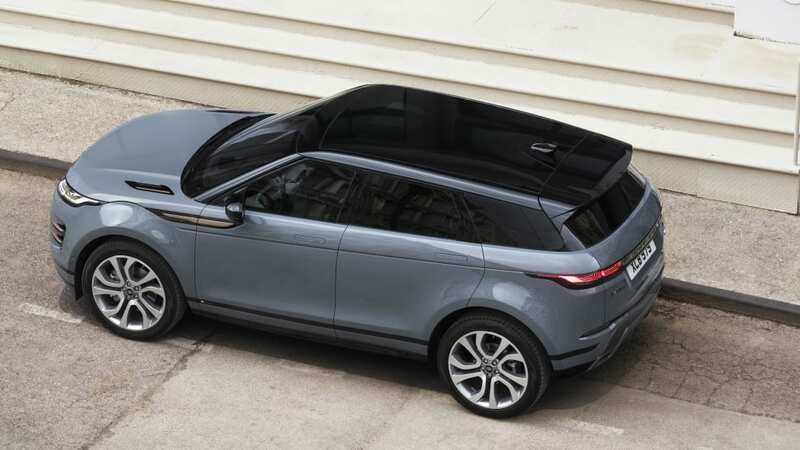 The high beltline and low roofline remain, and with them comes the impossibly short rear window. 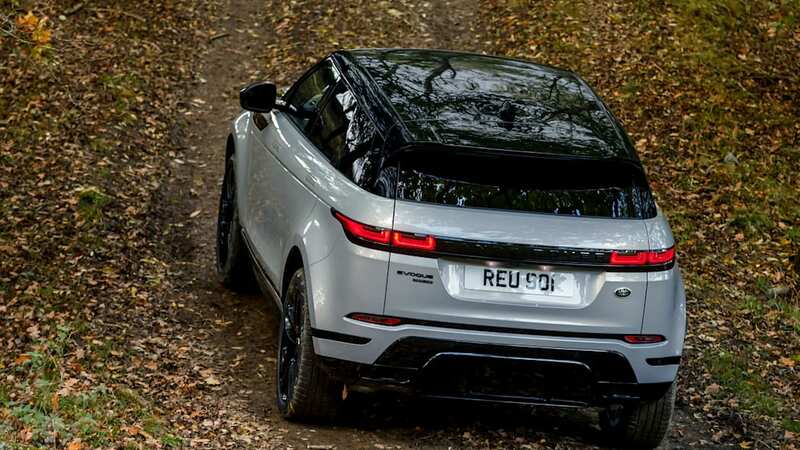 While this rear design might have been the most distinctive part of the original Evoque, this means the natural visibility won't be much better for the new one either. 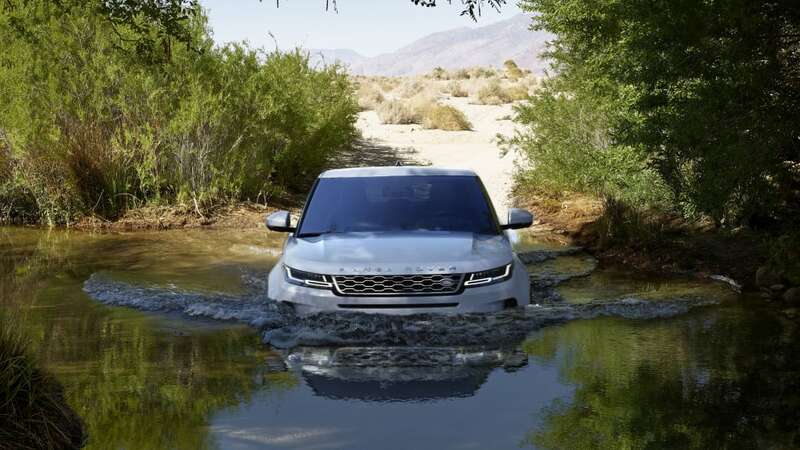 Land Rover has a trick up its sleeve we'll explain later, though. 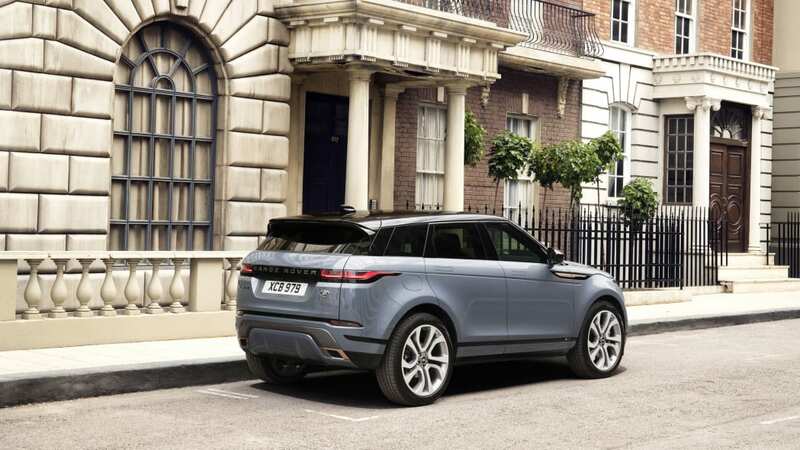 Out front, the design looks less fussy than before, with the new straked side intakes representing the most distinctive visual cue. 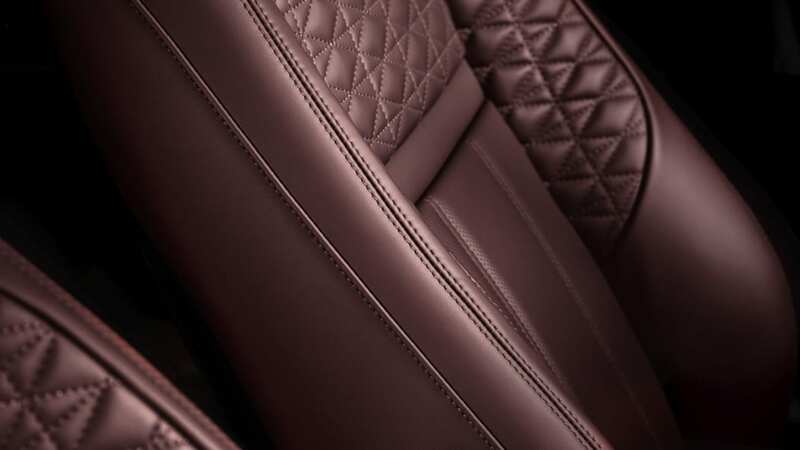 The sides have fewer waist and muscular lines than before. 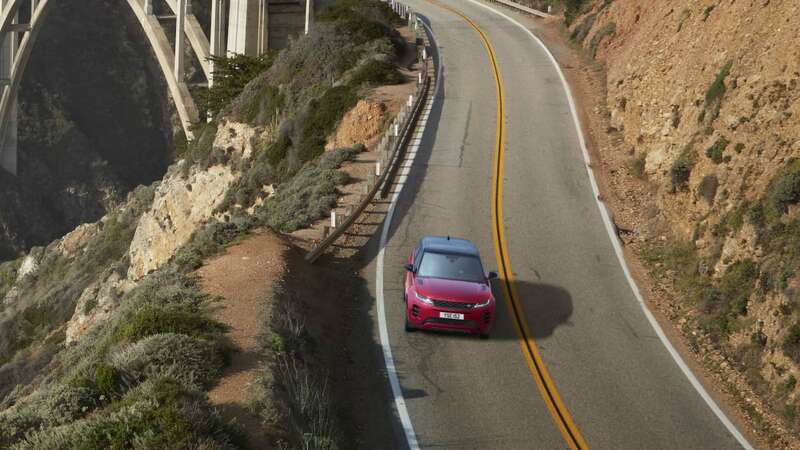 Both the headlights and taillights have been thinned out, but they don't exactly look like they're squinting. 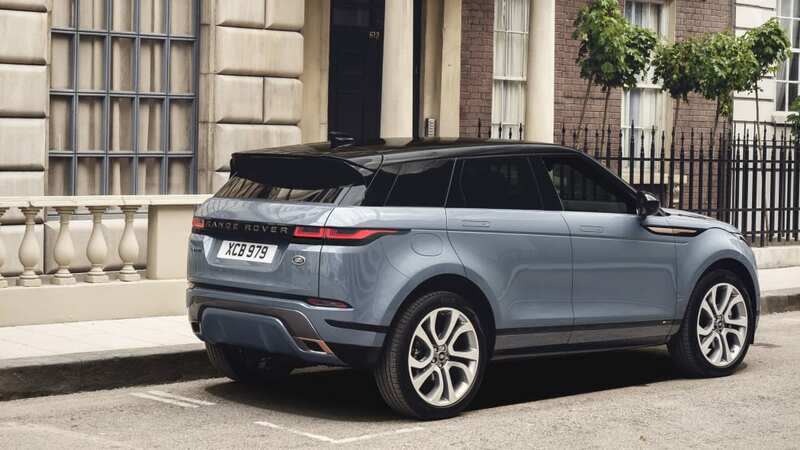 A black character line extending along the rear of the Evoque is the final big change in appearance from last year. 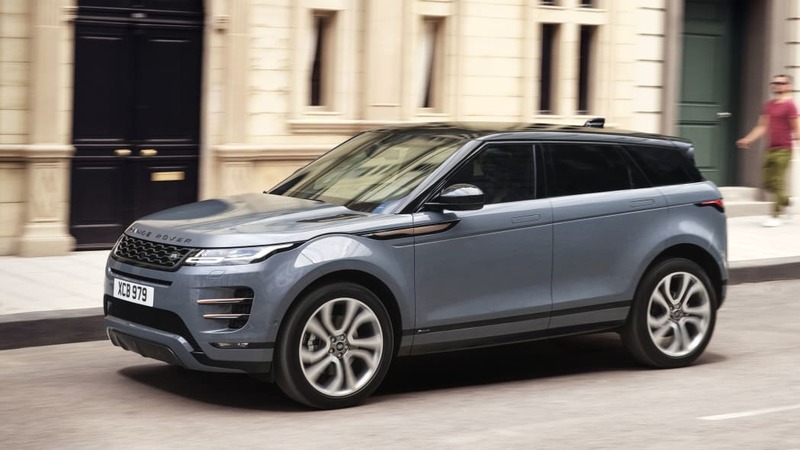 Beyond looks, there's a whole lot else new with the Evoque for 2020. 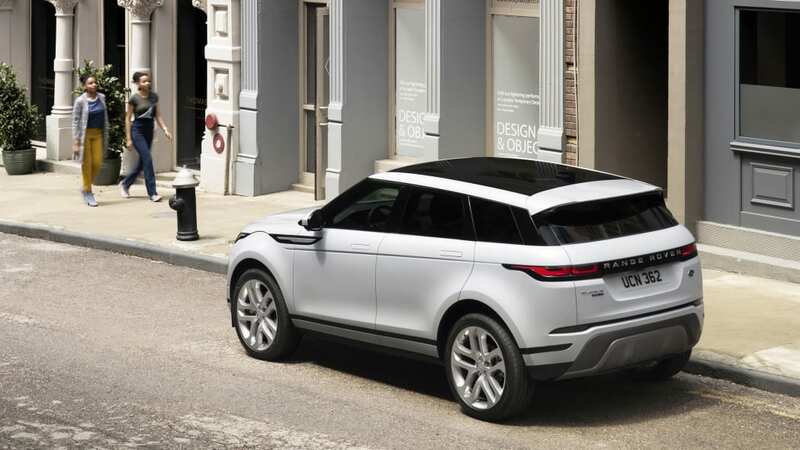 A 48-volt mild-hybrid powertrain is the headliner. 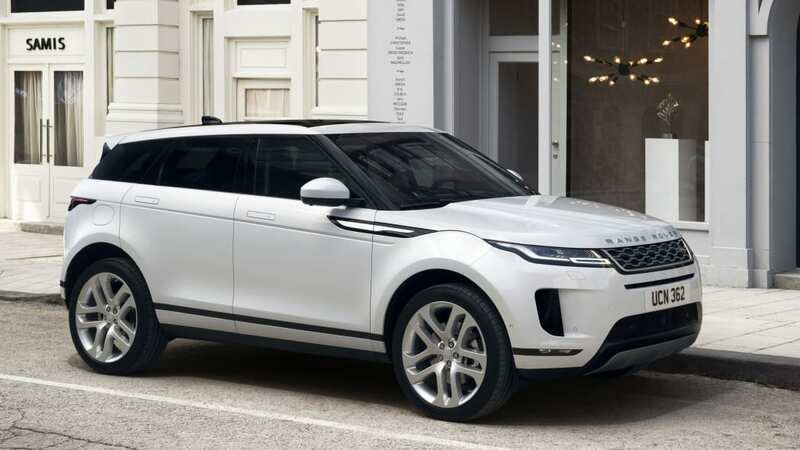 It will be paired to the Ingenium turbocharged four-cylinder engine with a combined system output of 296 horsepower. 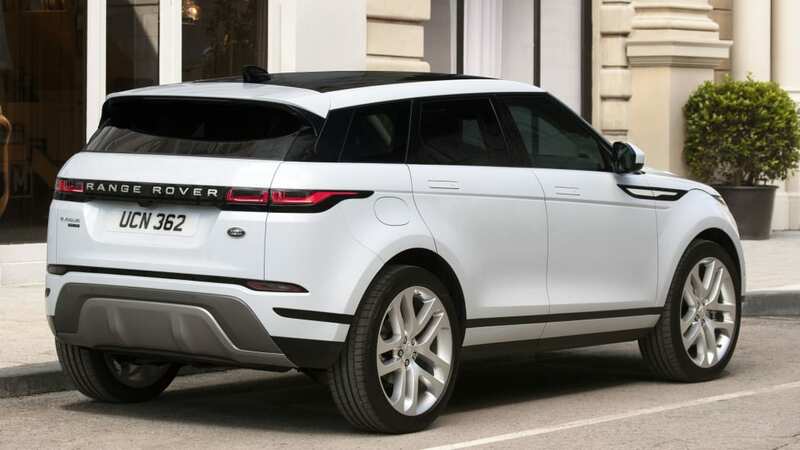 If you'd rather have a more traditional powertrain, you can get the standard 2.0-liter turbo without the 48-volt system. 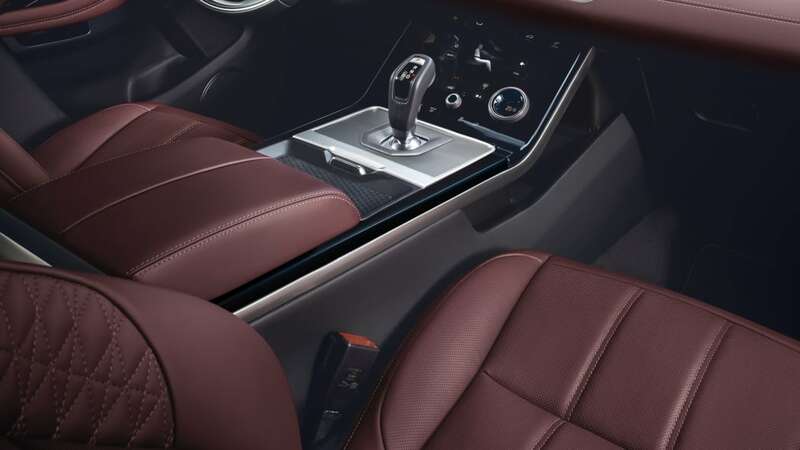 This provides 246 horsepower, while both powertrain options get mated to a nine-speed automatic transmission from ZF. 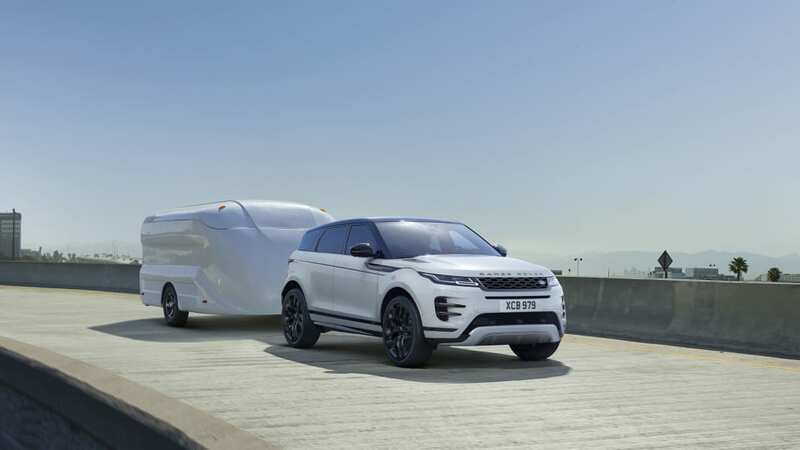 We definitely like seeing the 48-volt system being on the menu — Land Rover says it works by harvesting energy through an engine-mounted belt-integrated starter generator. 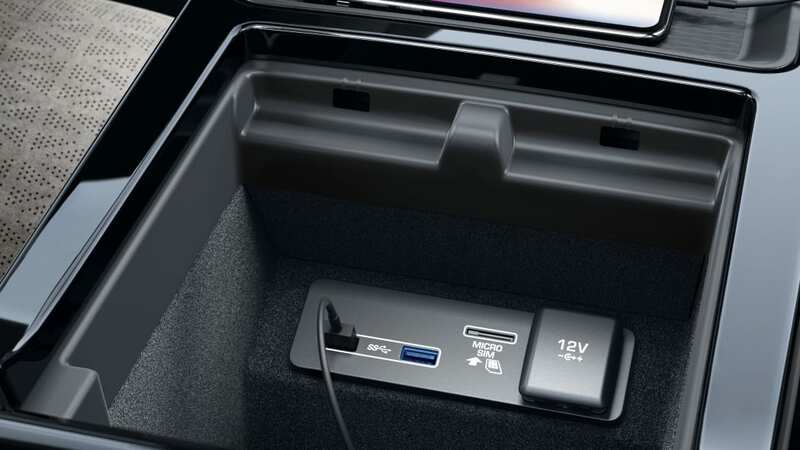 The energy is stored in a battery under the floor of the car. 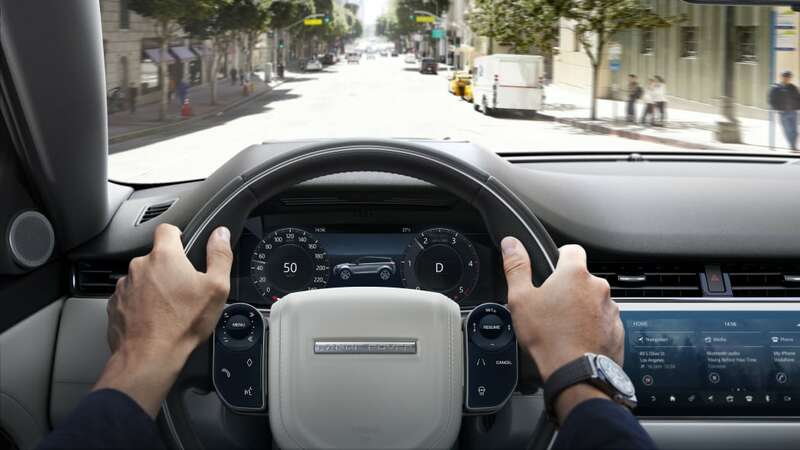 When braking, the engine is capable of turning off below 11 mph, but Land Rover is more vague concerning acceleration. 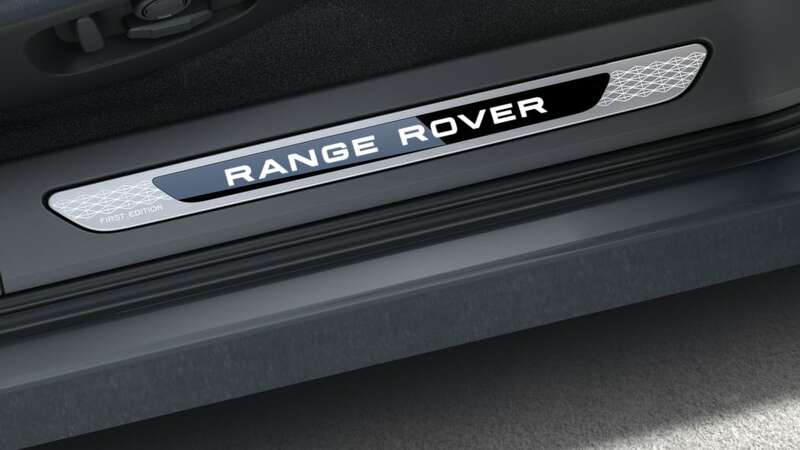 It simply "assists" the engine under acceleration, providing you a bit more shove from a stop and making better fuel economy possible. 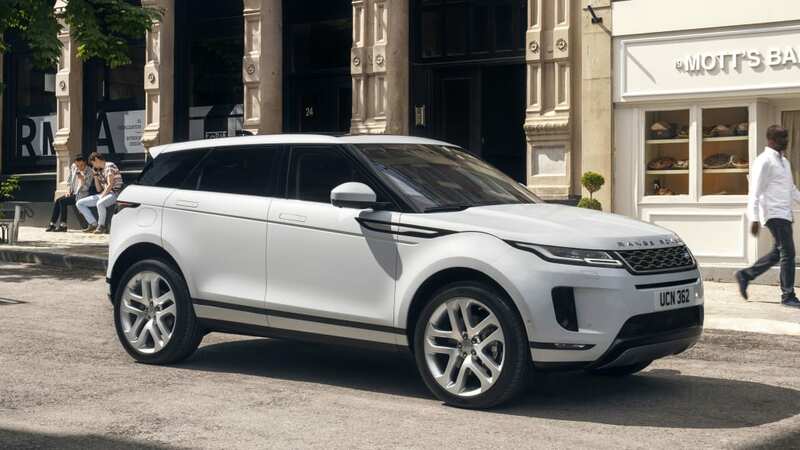 To make room for the 48-volt system, Land Rover developed a new architecture for the Evoque — this is the company's first 48-volt equipped car after all. 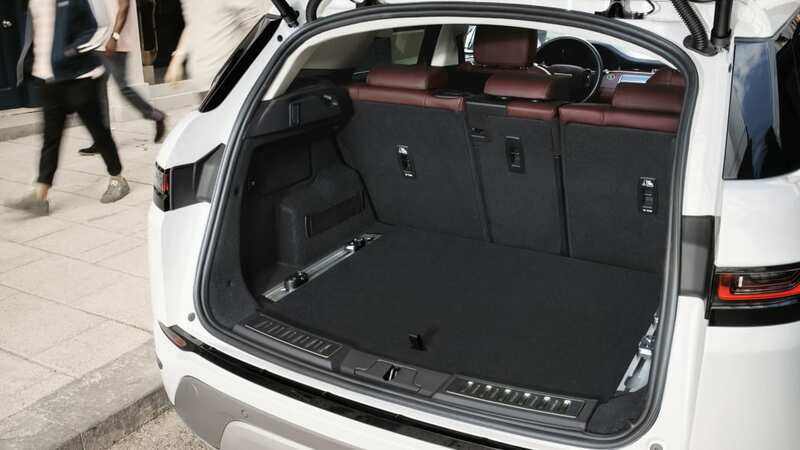 The wheelbase is stretched a bit, which translates to a little more room inside the crossover. 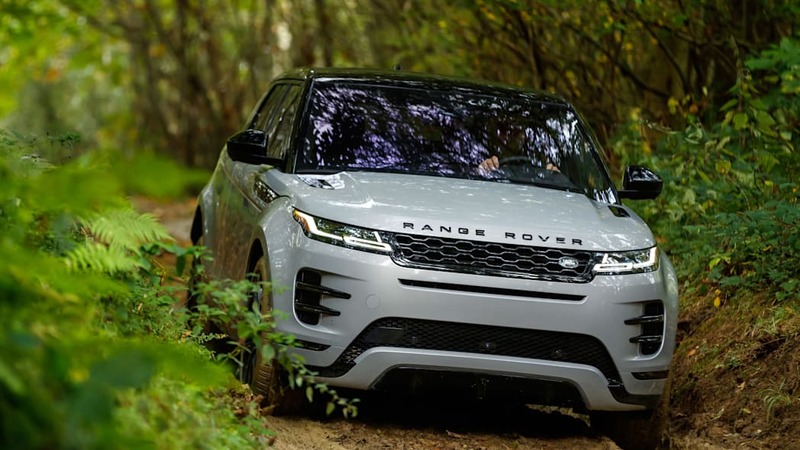 Land Rover divvied it up between an inch more of rear legroom, six percent more luggage space and larger storage areas throughout. 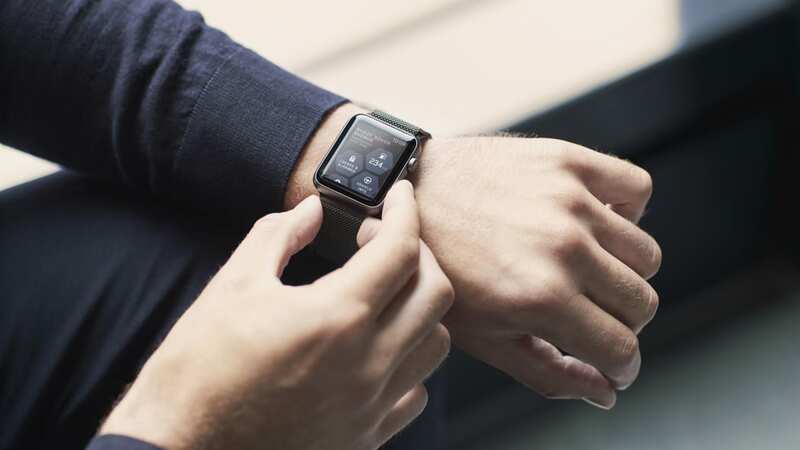 With the new architecture, it's 13 percent stiffer than before. 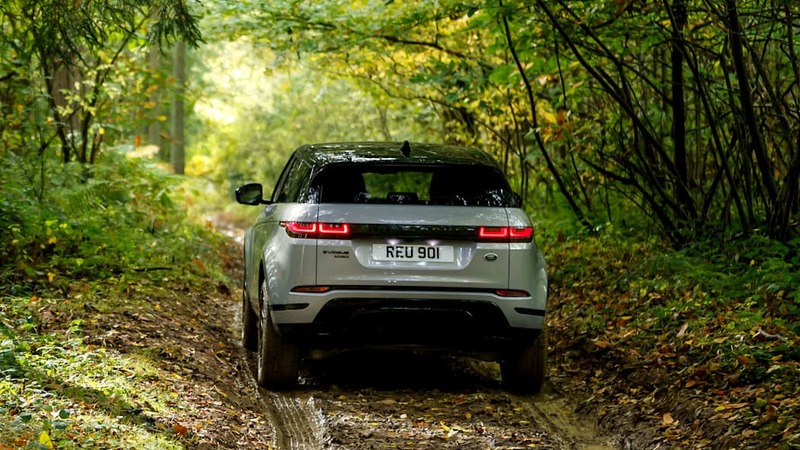 The suspension is JLR's multi-link rear setup with a MacPherson strut front. 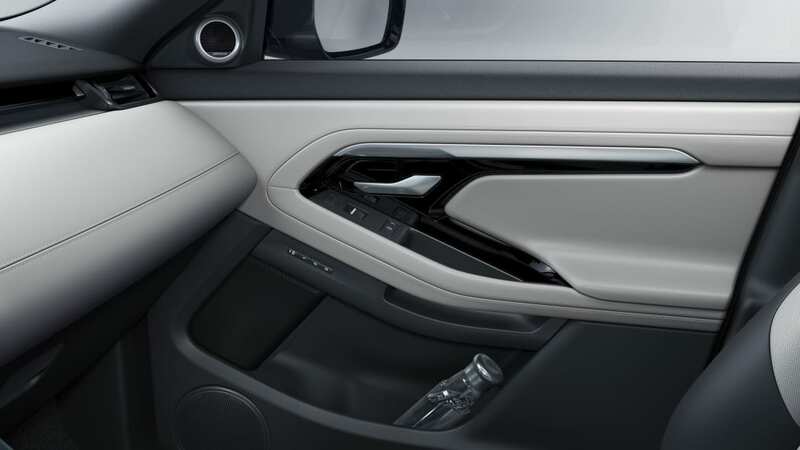 Fluid-filled bushings are used to minimize wheel vibrations, which in turn separate the road from the driver just a bit more. 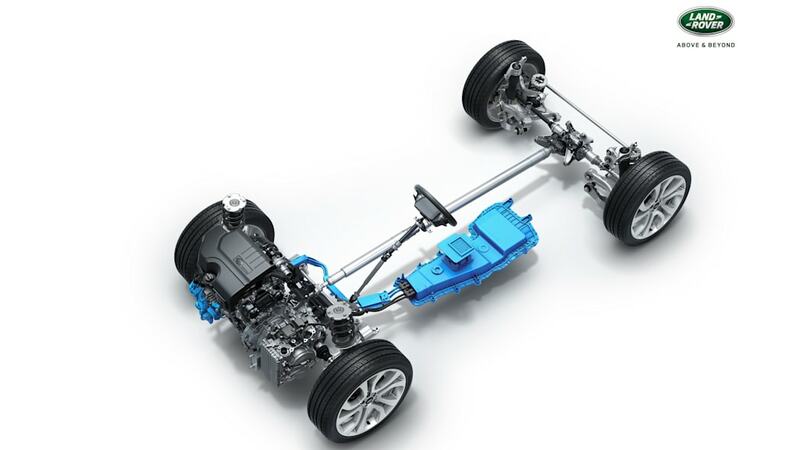 An optional adaptive suspension is available too. 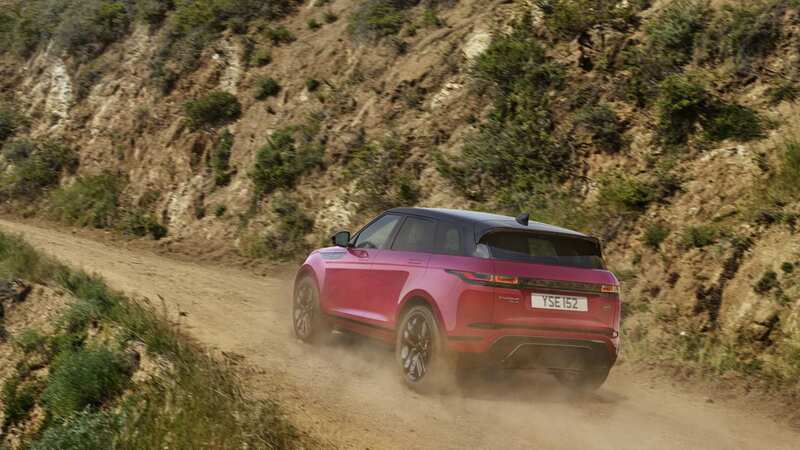 All-wheel drive is standard for the 2020 Evoque. 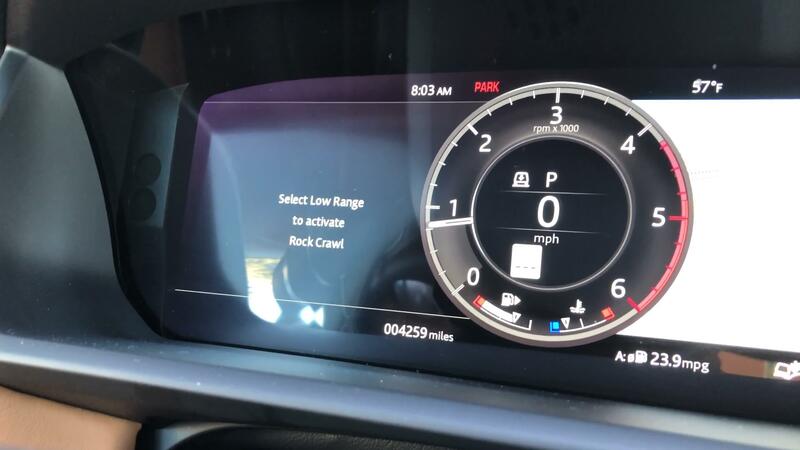 It will disconnect the rear wheels automatically when they're unneeded for better fuel economy. 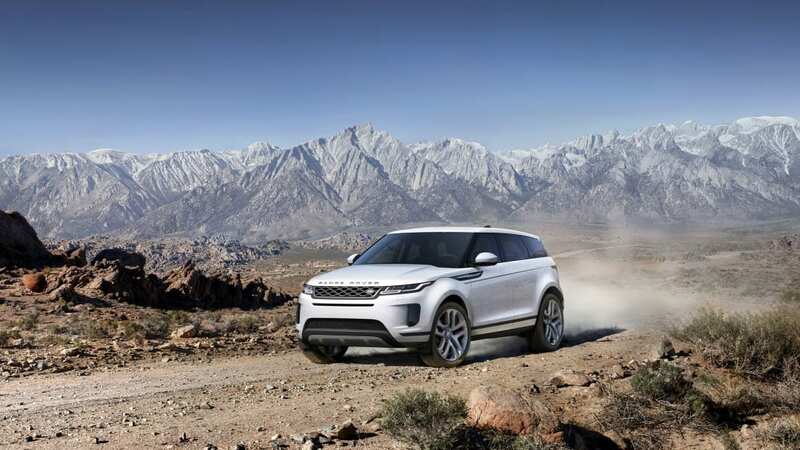 We'd expect this from a Land Rover, but the new feature here is Rover's Terrain Response 2 system. 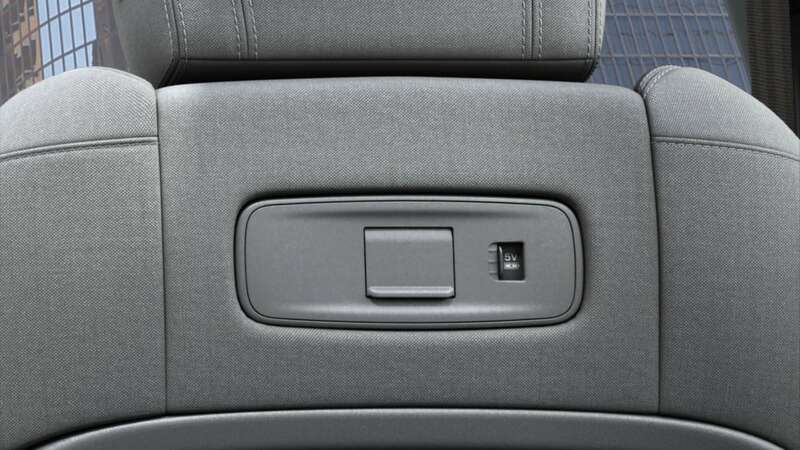 It offers a mode where it will detect what type of surface is being driven on, then adjust all the settings accordingly. 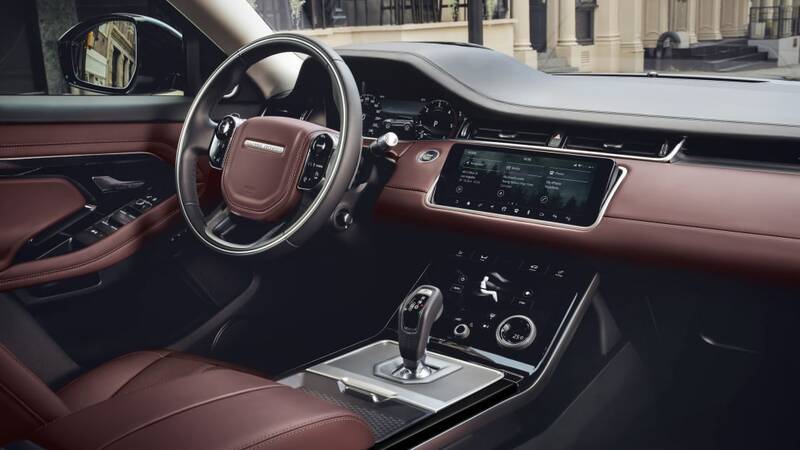 The interior gets the biggest overhaul of all compared to the previous generation. 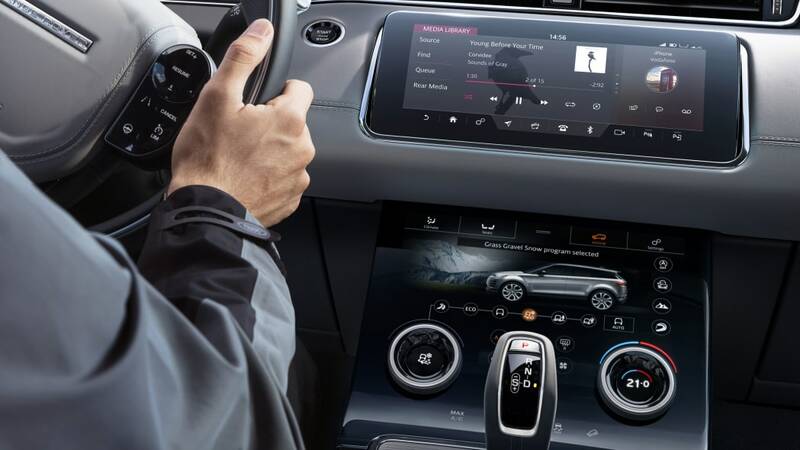 Nearly all of the buttons in the center stack have been nixed in favor of a full touchscreen experience. A couple key dials remain, for which we're thankful, but the interior design definitely feels futuristic. 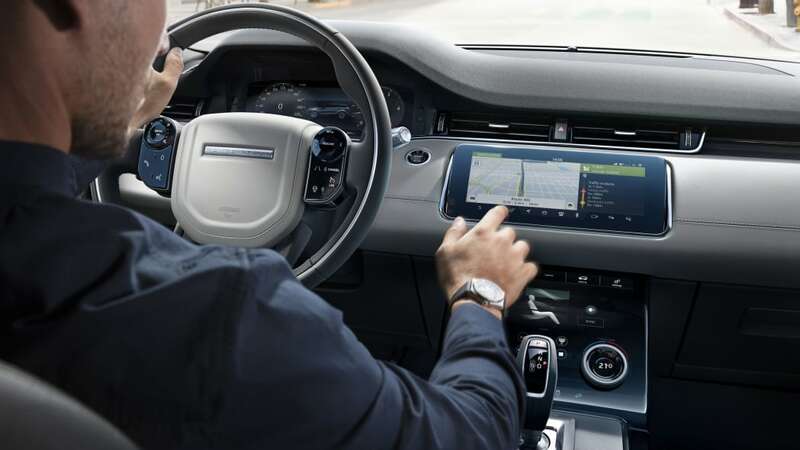 Above the vehicle control screen is the infotainment system screen, which swivels upwards from its flush position in the dash when the car is turned on. 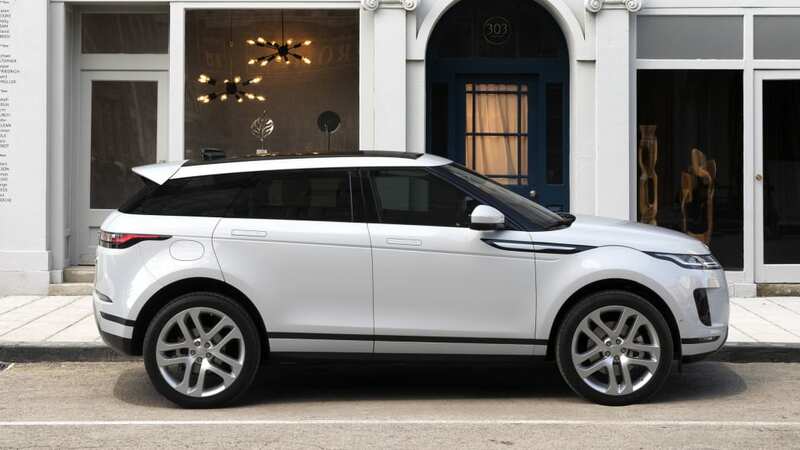 It's something small that has the ability to bust down the road, but it screams luxury. 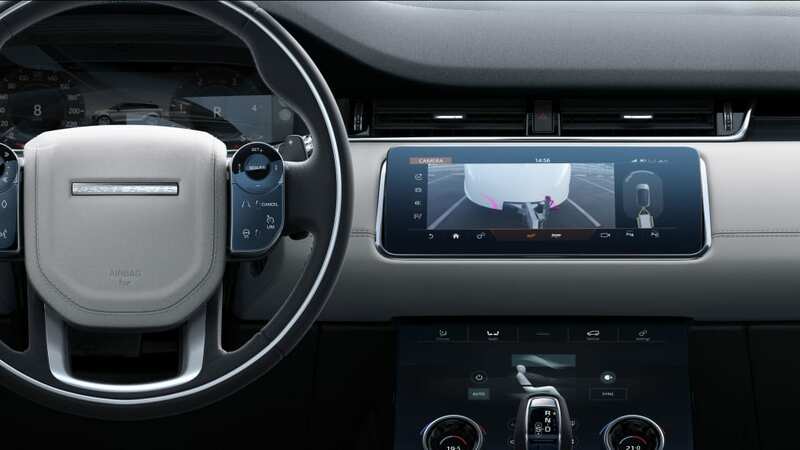 In case two screens weren't enough, the instrument cluster is a giant digital screen as well to make a total of three for the cabin. 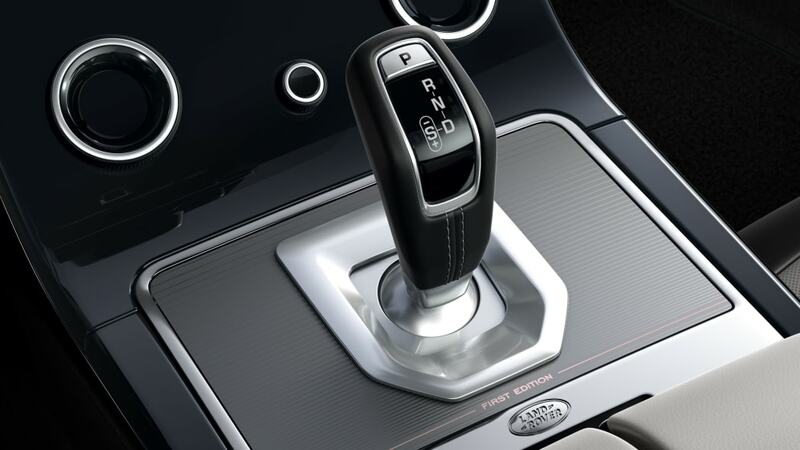 You might have noticed the rotary gear shift dial is gone now, replaced by a toggle lever. 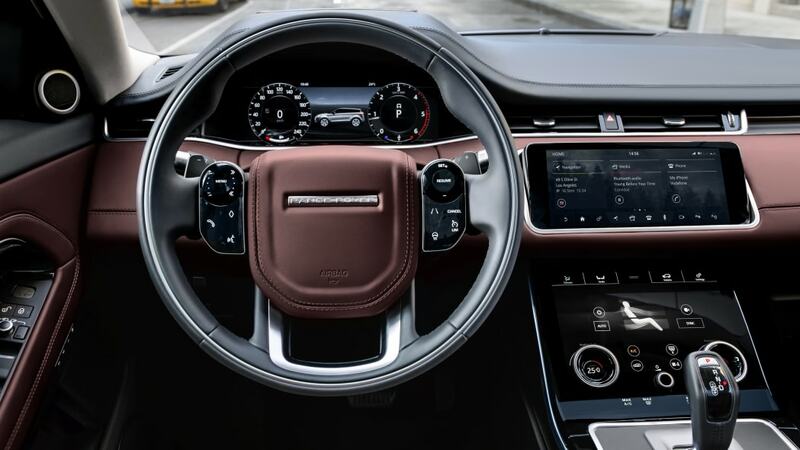 The steering wheel uses a similar design to the Range Rover with large, glossy black buttons. 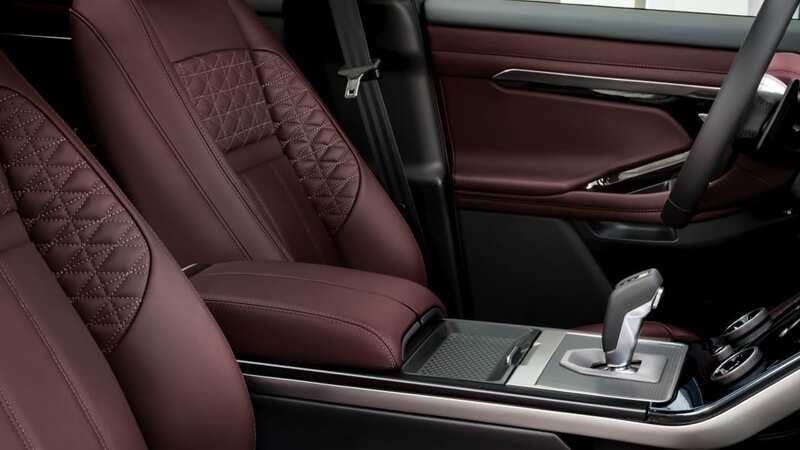 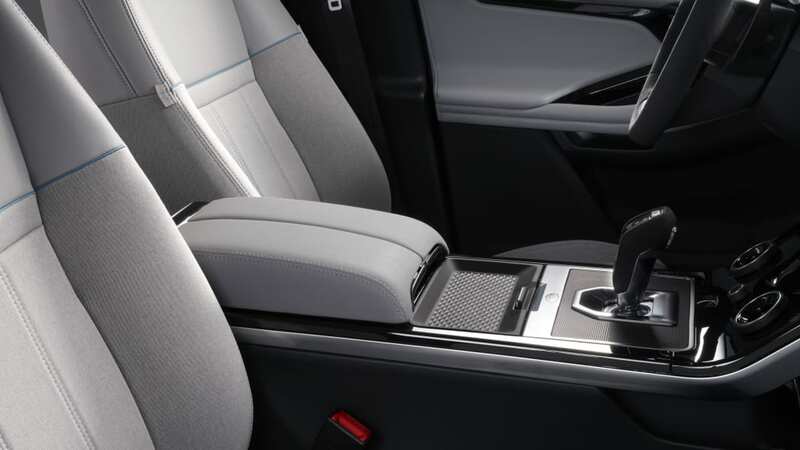 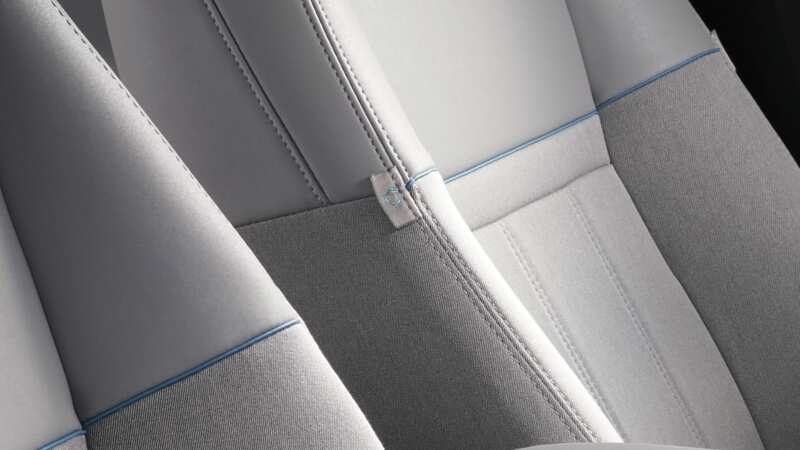 Two different eco-friendly seat materials are on offer as replacements for leather. 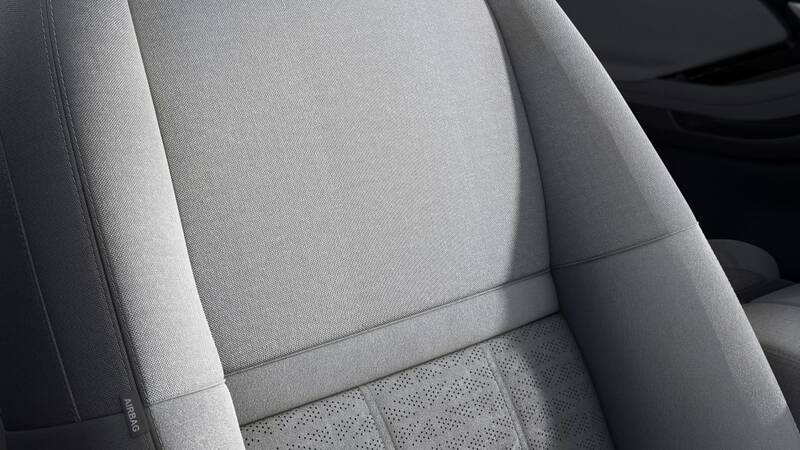 One is a eucalyptus-derived textile and the other is a Kvadrat wool blend. 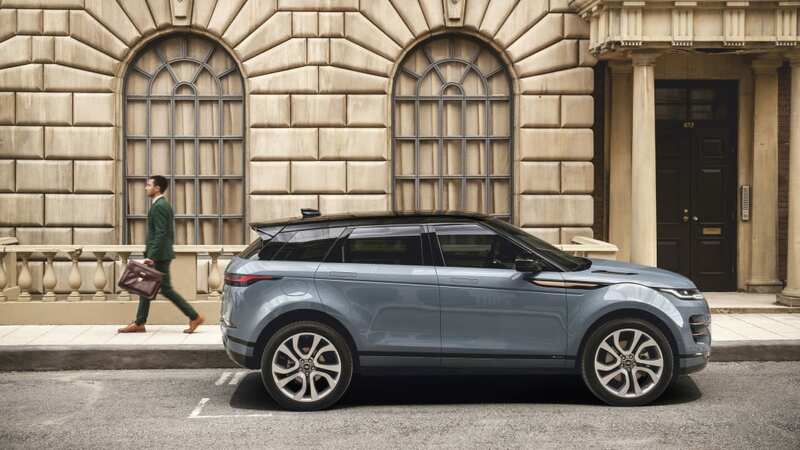 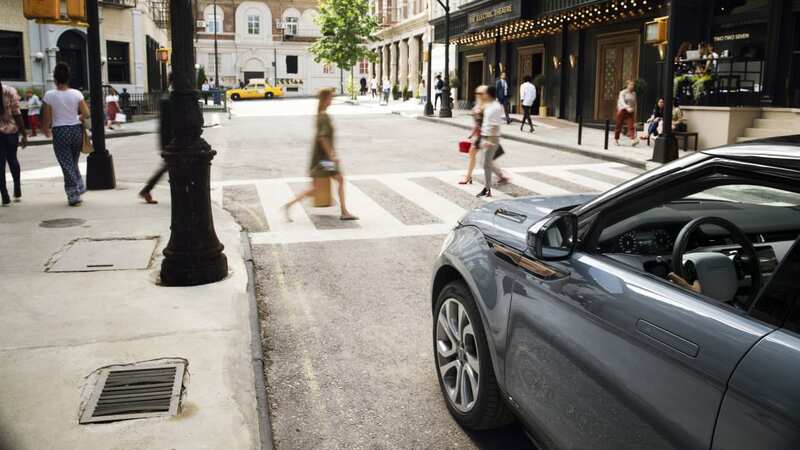 Land Rover says the Evoque is its first vehicle to feature its "Smart Settings" technology, which uses AI to learn a driver's habits to automatically control things like the seat, steering column, temperature settings, commonly dialed numbers and so on. 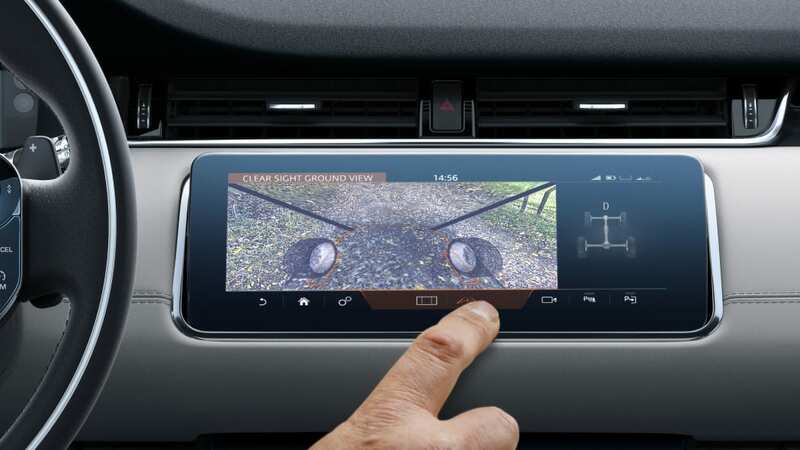 There's plenty of other neat tech debuting on this vehicle too, like a ground view camera to show exactly what's directly ahead of and underneath the vehicle. 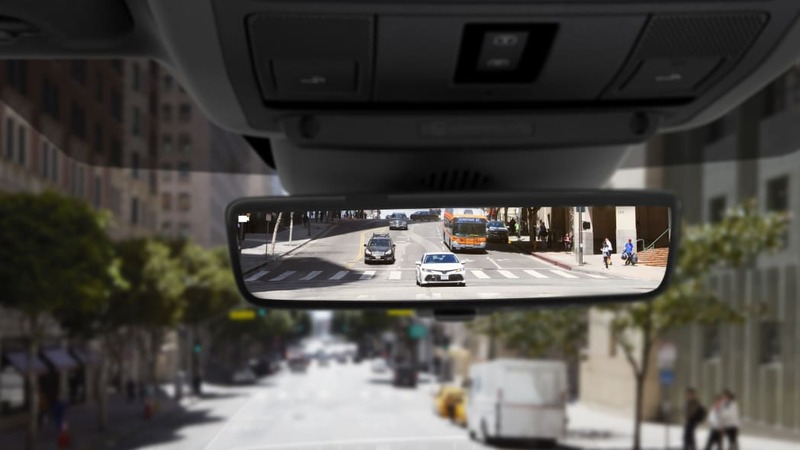 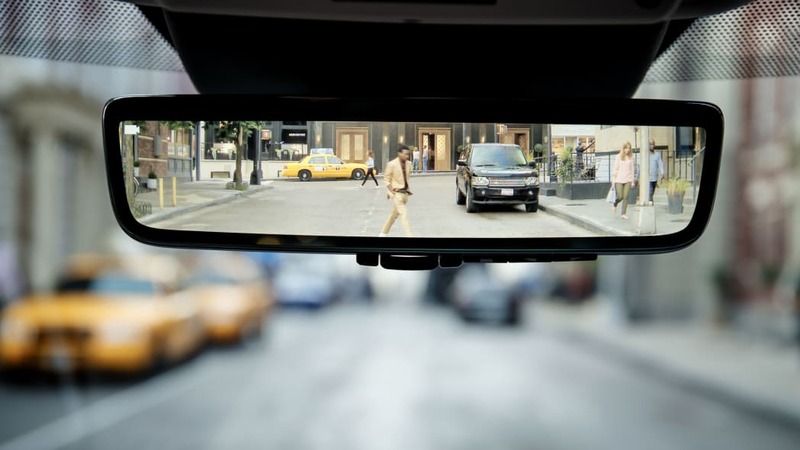 Similar to GM's camera rearview mirror, Land Rover is introducing a mirror with an HD video screen displaying the view out the rear. 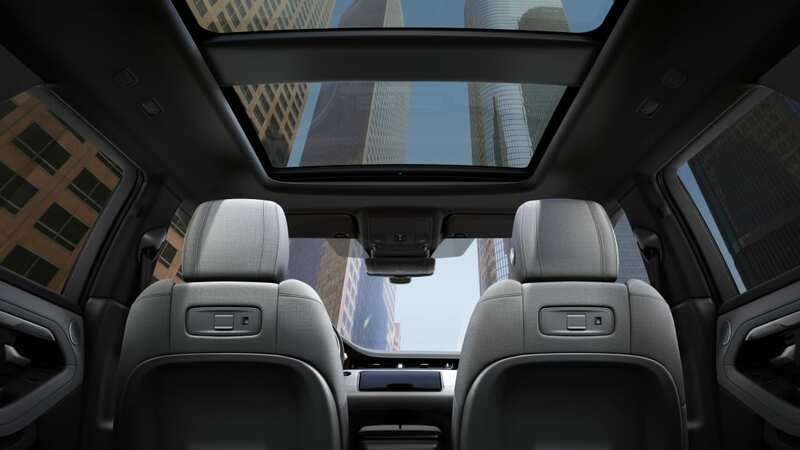 It's a good thing, because the rear window is so short you can barely see out of it. 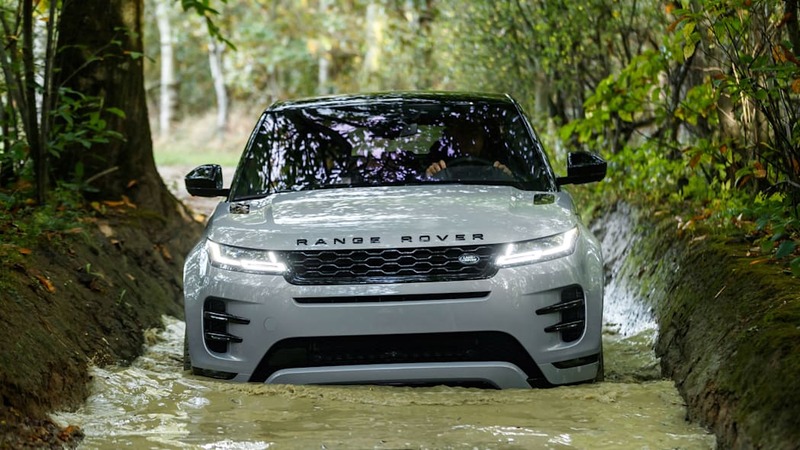 A hydrophobic coating on the lens is meant to repel water spray, and a lip hangs over it to prevent mud and dirt from getting on it. 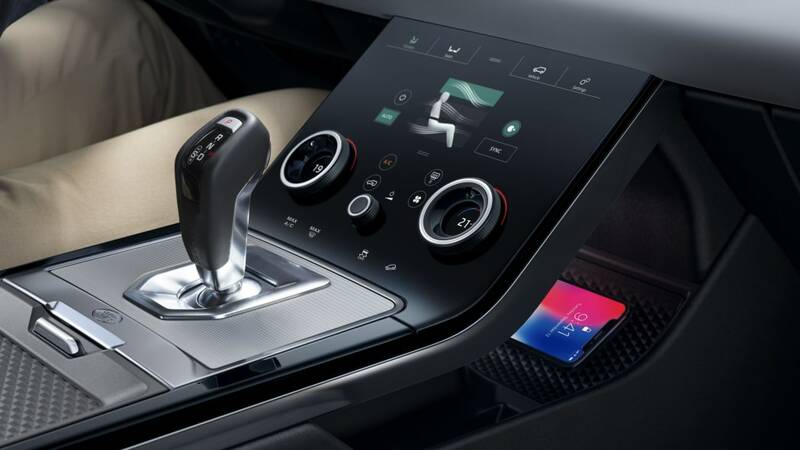 Apple CarPlay and Android Auto are both present and accounted for, but there's no word on whether they'll be standard or cost options. 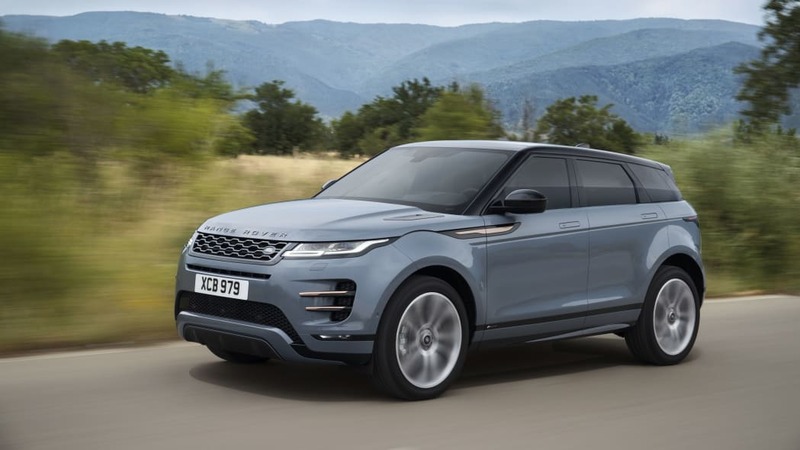 Speaking of cost, we'll have to wait till the 2019 Chicago Auto Show for numbers, as that's where the Evoque will be making its U.S. debut. 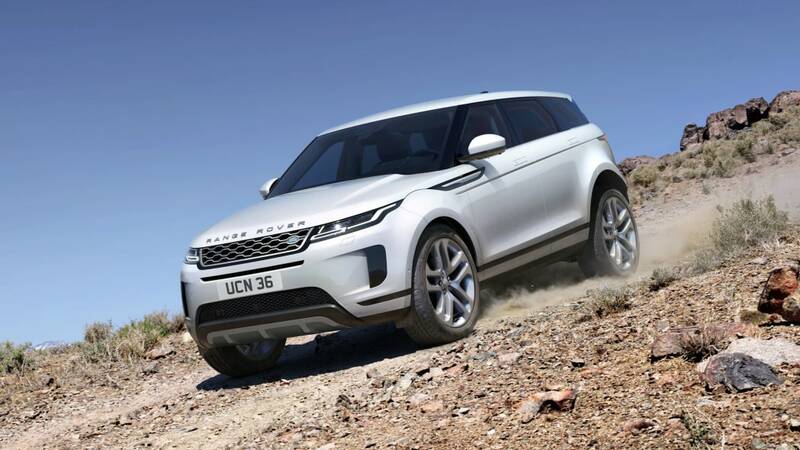 We'll learn when Land Rover will be starting production and shipping to customers at that show, too.